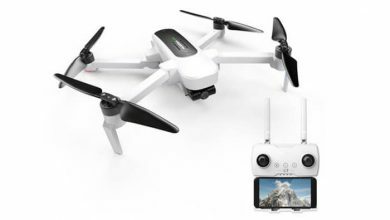 If you are looking for a low priced aerial photography drone that can capture decent video and photographs then the updated Hubsan Zino 4K Camera Drone will not disappoint. The design of the quadcopter is amazing. 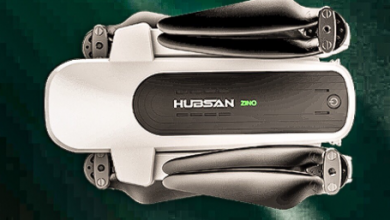 Hubsan made not only the amazing appearance of the Zino drone but also worked on the aerodynamics of the new hull, which reduced the air resistance during the flight and improved flight performance and maximum quadcopter speed. In the manufacture of quadcopter used polycarbonate, which in its performance characteristics exceeds plastic, which speaks to the quality and durability of the model H117s Zino. The H117S Zino comes with a dimension of 30.4 X 25.2 X 9cm and a total weight flying weight of 700g with a white classic color. The Quadrocopter has a folding design that makes it convenient and compact for storage and transportation. A camera with 4K UHD Ultra High Definition 3840X2160 30FPS Ambarella Sports Image Processor on a 3-axis gyroscopic suspension allows you to achieve a smooth and clear picture, and the range is now as much as 2.5 km! The control range of this model is about 2.5 kilometers! Radio equipment works well, without failures and interference. And even if you lose the signal, you do not need to worry about the fate of your drone – it will automatically return to the starting point. You can also return it yourself by pressing one button. In addition, there is an automatic start. When starting a flight, you can install the copter as you wish, the built-in function Headless Mode will orient the drone relative to the position of the control panel. With the new Zino H117S, you will get the best experience with a unique design. Just press one key on the remote for 4K shooting with automatic recording and 360 ° rotation. Zino will follow a straight line with a designated angle and in the direction you choose. Video and photo controls are available while driving a drone.